1. Because millennials love the Coen brothers. Ask any Millennial what their favorite McCarthy work is and their answer will reveal what they studied in college. If they say Blood Meridian, then they most certainly studied literature or fancy themselves a writer. If they say The Road or No Country for Old Men, then they came from any other discipline. A selection of McCarthy&apos;s work has been made into big enough films so that anyone living within the proximity of a movie theater (or with a good internet connection) can be McCarthy savvy without ever making a trip to the library (or, let&apos;s be honest, a trip to Amazon). The famous Coen Brothers film version of No Country for Old Men present McCarthy&apos;s work to a wider audience that would have never pick him off the shelf. The infamous antagonist, played by Javier Bardem, encapsulated a new take on evil and violent characters. The film deals in the traditional human corruptions — greed, rage, lust, power — but underneath it all there is a existential nihilism guided by surreal, indecipherable principles. 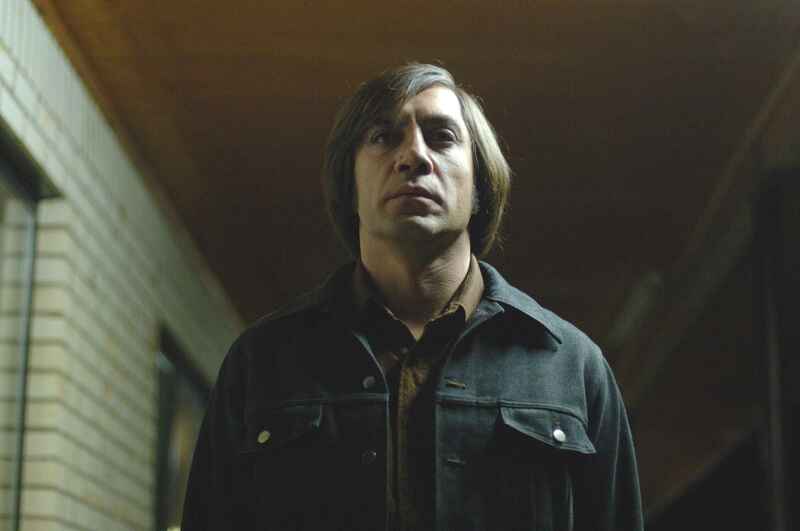 Javier Bardem&apos;s character, Anton Chigurh, is playing by the rules to a game that has no meaning. That emptiness is what makes him truly terrifying. Millennial&apos;s, or perhaps hipsters, are drawn to this kind of bad guy because it feels more intellectual. He&apos;s the kind of bad guy that shrugs off the typical story archetypes and gives people a chance to demonstrate their erudite knowledge of Nietsche, Kierkegaard, and Beckett. But far fewer people are aware of the historically-probable savagery in Blood Meridian, which follows a band of scalp hunters in Mexico as they slaughter hordes of Native Americans for profit. The character of Judge Holden — a man who spends his time between massacres drawing nature scenes — trumps Chigurh in nihilism any day. This work hasn&apos;t yet been made into a film for the less literary (most likely because it would be tough to navigate the political correctness associated with making a Hollywood movie about a band of Texans slaughtering Native Americans), but Disney and Johnny Depp&apos;s revival of Tonto has brought us that much closer. 2. Because he&apos;s a cowboy. McCarthy himself is not really a cowboy; he looks like a college writing professor. He was born in Rhode Island, only later moving with his family to Knoxville and then attending University of Tennessee. But his work is distinctly southern — especially the Border Trilogy starting with All the Pretty Horses and ending with Cities of the Plain. Everyone loves a good western tale with plenty of horse-wrangling, gunfighting, and stand-offs at high noon. But with McCarthy, you don&apos;t just get rugged hero and greasy outlaw archetypes; you get complex human characters that are in an eternal standoff with a harsh and indifferent desert world where morality succumbs to survival and people speak through mouthfuls of dust. Millennials have swung to the polar extremes when it comes to genre, some scorning it as hokey and shallow, while others escape completely into a universe of familiar terrain and immutable archetypes that seem truly authentic. McCarthy&apos;s work offers something to both, while still managing to be on a literary par with Toni Morrison, Don Dellilo, and William Faulkner. 3. He&apos;s one pessimistic dude. McCarthy&apos;s early work may have been woven from a spool of romantic, natural imagery, but his work has become increasingly pessimistic and, as previously stated, nihilistic. The Road, his post-apocalyptic tale of a father and son&apos;s survival was written by McCarthy as a love letter to his own son. In this bleak canvas, with disturbing overtones of the story of Abraham and Issac, he essentially conveys to his son that the world is coming down in biblical flames and that the best thing to do would be to die in one&apos;s sleep. His books seem always to argue that the jagged qualities of the human spirit will always cut the kinder and softer elements to shreds. Our generation seems like it can&apos;t get enough of his artistic disinclination for hope. The combination of the a sensational media that shouts a school shooter&apos;s name like a mantra, but forgets the victims; rising political incompetency and dissent; and of increasing joblessness make it really fashionable to be pessimistic, even despondent. It is a pessimism that Kafka would have been very familiar with. The Road is just a more fully imagined version of the zombie apocalypse so many popular films imagine — just without the zombies. It still satisfies this obsession with the end of times that millenials have and, honestly, it sometimes feels like it might be around the corner. But no matter how dark McCarthy&apos;s work might get, it is itself proof that the end of times has not in fact descended on mankind. If great works of art like McCarthy&apos;s novels can be both created and consumed so voraciously, then the human race may still have a chance.